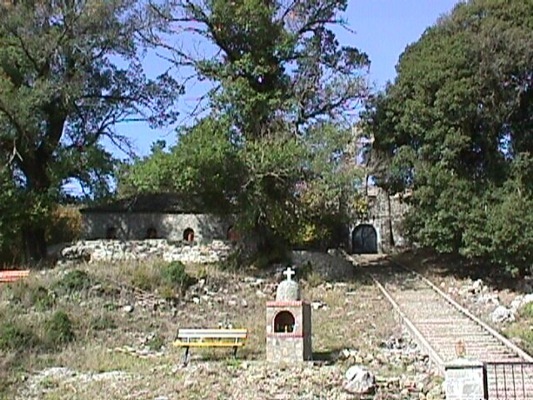 The Monastery of St. George is in a forest region, very close to the village Drosopigi (Vourgareli) of the prefecture of Arta. It is a monastery with walls around it and according to a sing its main church was built in 1690. The temple and the cells (the cells were built later) are saved in an excellent condition. The church is of one space, basilica, cross-shaped with a big octagonal dome and outside the church stands on big butresses. 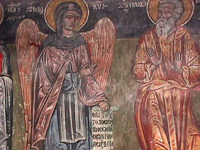 The main church has wallpaintings from 1714 by painters from Kalarrytes, according to a relevant sign (there is also a version that says that the monastery was built in 1714, the same year of its wallpainting). The iconostasis is woodcarving and was painted in the beggining of the 18th century. 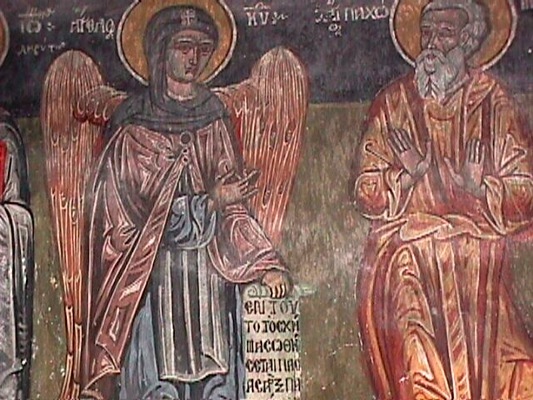 The portable icons of the church are also from the 18th century, a piece of art of Epirus. The most significant heirloom of the monastery is a silver shrine of the 1859, carved by a silversmith from Kalarrytes. It is a historical monastery and it was a revolutionary and cultural centre during the revolution against the Turks. Here the abbot Christopher in front of the warriors (G. Karaiskakis, Gogos Mpakolas, Koutelisas, Iskos, Raggos, Koutsonikas) and other rebels, raised the flag of the revolution against the Turks.